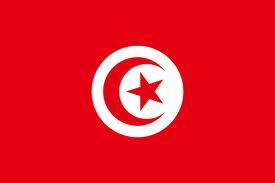 ... 1956 (55 years ago today), Tunisia won independence from France, which had exercised a "protectorate" over the North African territory since 1881. In 1987 Tunisia's 1st President would be deposed by a successor -- Zine El Abidine Ben Ali -- who, as we've posted, ruled until his own people ousted him from office this past January. Protests have persisted since then, and the flight of refugees from conflict-ridden Libya has exacerbated the situation.